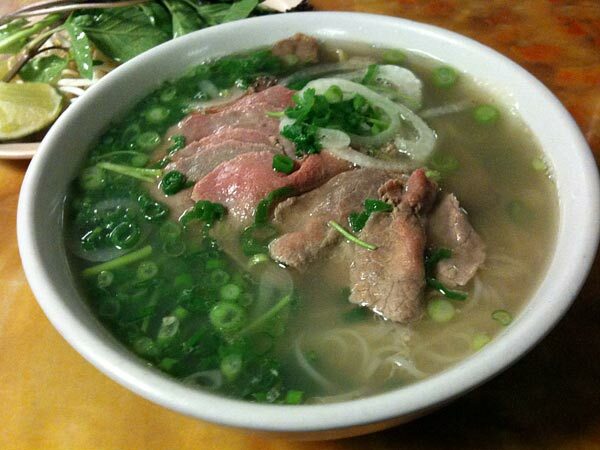 Here's another proof of the popularity of Vietnamese pho in the U.S. 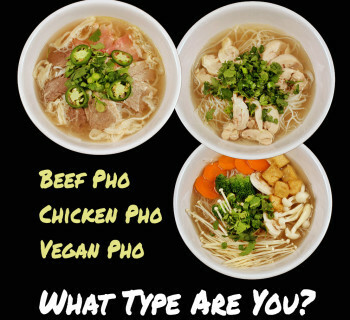 I know, I know, we all know how great pho is, but hey, another piece of self-serving data won't hurt, right? The Center for Culinary Development (CCD) and Packaged Facts have just co-produced a report based on a survey of over 3,700 people about their comfort food preferences. And Vietnamese pho is definitely becoming the de facto comfort food for the younger crowd. Sweets have long been the champion comfort food and still remain as the champion among the three demographic groups of Baby Boomers, Gen Xers and Gen Yers. 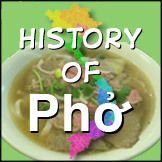 But for younger, more active Gen Yers, Vietnamese pho is turned to as the comfort food of choice. Of course there are always the Viet clientele together with many non-Viet pho fans in the boomers and Gen X age groups. But Gen Yers, with their diverse outlook of the world, are already going global with their social networking and awareness of global issues, and easily take on the global aspects of their lives as they adopt the global dishes like Vietnamese pho, sushi, Indian and Thai curries. Stage 1. 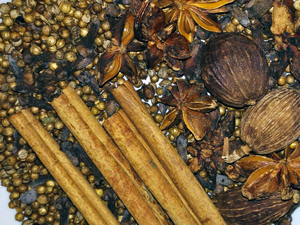 The ingredient, dish and/or cooking technique appears at upscale dining establishments, ethnic and popular independent restaurants. Stage 2. The item is featured in specialty consumer-oriented food magazines, such as Gourmet and Bon Appétit plus retail stores such as Sur La Table that target culinary professionals and serious home cooks. Stage 3. The item begins to appear in mainstream chain restaurants - Applebee's or Chili's -as well as retail stores such as Williams-Sonoma that target recreational cooks. Stage 4. Publications such as Family Circle and Better Homes and Gardens pick up the buzz. Stage 5. Finally, the trend makes its way to quick service restaurant menus and is either starting to appear or is having increased presence on grocery store shelves. 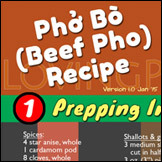 According to the CDD, Vietnamese pho has reached stage 3, which means it is no longer just an ethnic food available in concentrated geographic areas (Vietnamese communities,) or made available by a niche group of professional cooks for a niche group of clientele. 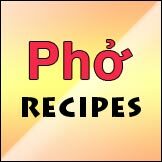 Pho is becoming mainstream with chain/franchised restaurants (as I've written about in Vietnamese pho going mainstream,) with plenty of recreational or non-professional cooks (that's you and me,) and it is being enjoyed by many many people outside of its traditional Vietnamese dining circles. And the reason for all of this excitement beside its being the super tasty and good-for-you soup noodle dish? 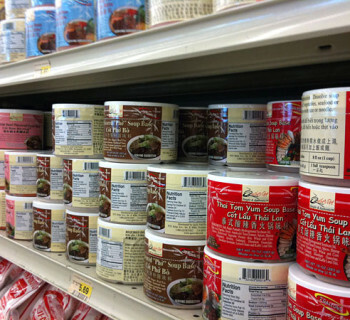 Well the one very important thing that pho has going for it, that many other foods don't have, is the global pho markets and supplies are now already in place wherever Vietnamese live. You name it, and Viet refugees and their descendants are there - the U.S., Canada, Asian countries, Australia, Europe. 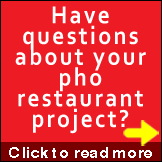 Pho doesn't have to take the time to spread, because it's already there! How cool is that? Read the Packaged Facts press release.